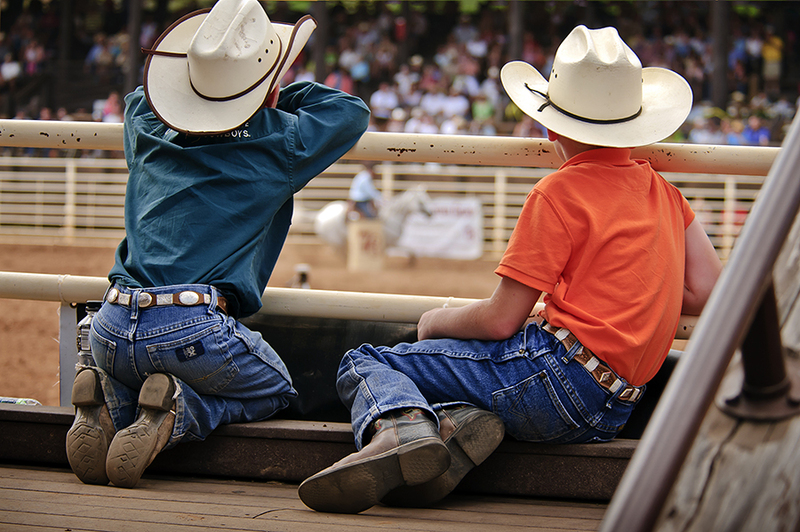 We are hitting the height of rodeo season in South Dakota soon, so I thought I would throw out some quick tips I've learned over the years. 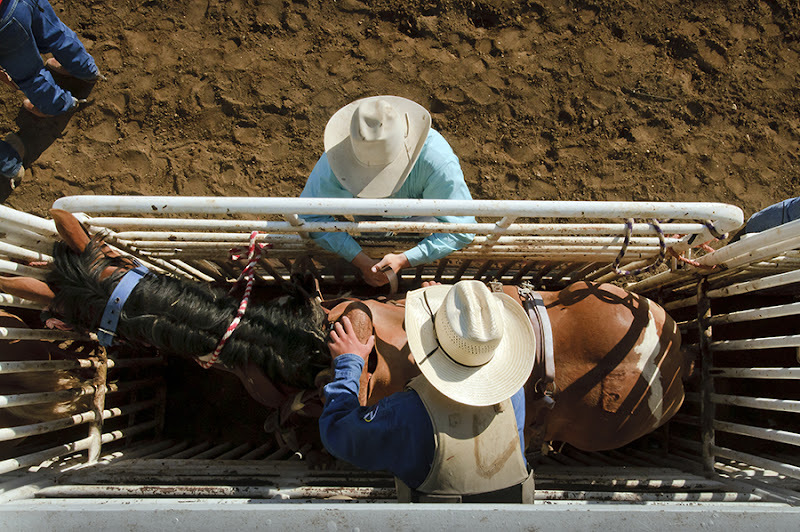 - Be ready when that cowboy or cowgirl nods their head for the chute to open. 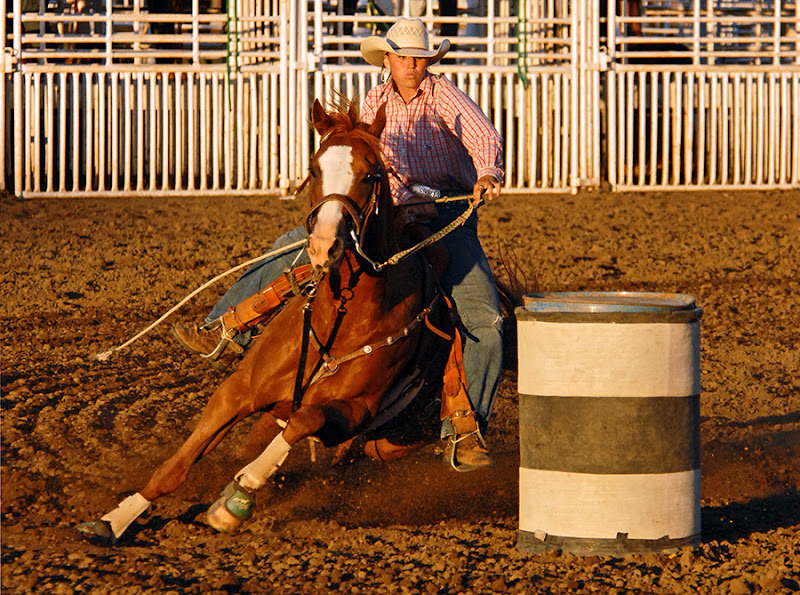 - Timed events like roping and barrel racing quite often look great coming straight at you. 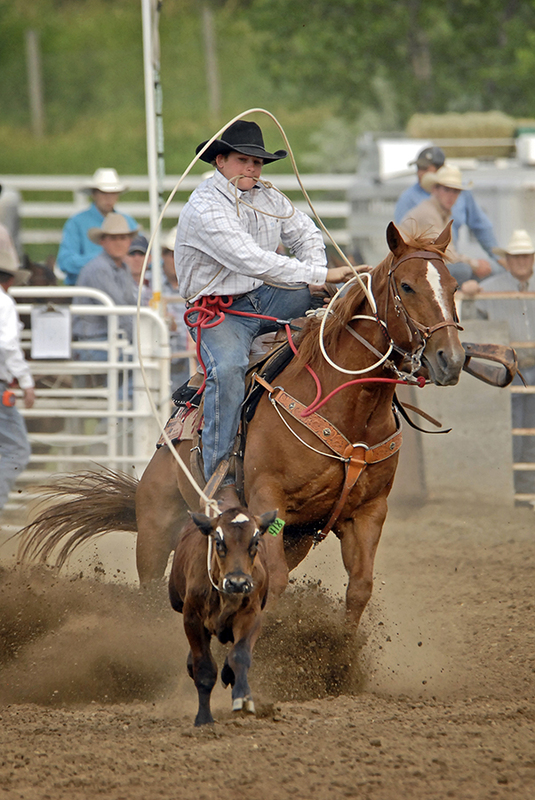 - Watch bucking horses and try to capture them at the height of their jump. 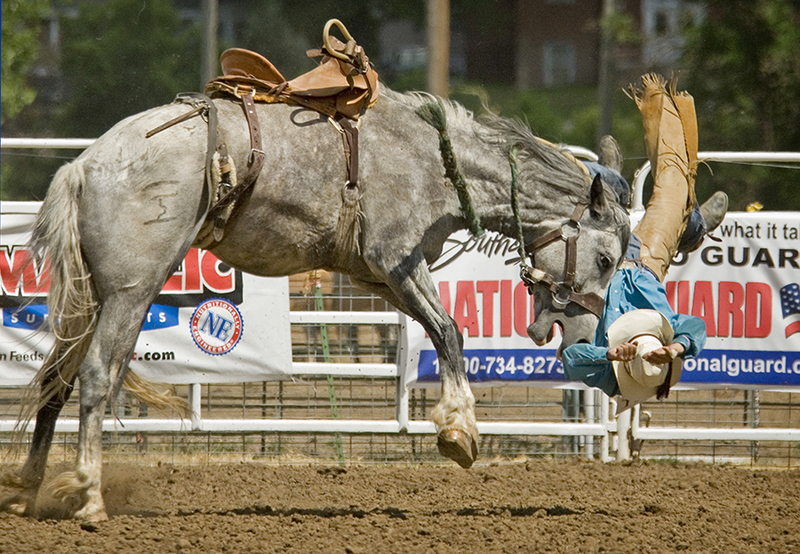 - Follow a run all the way through - cowboys may not like it, but photos of them falling off in a spectacular fashion make great shots. 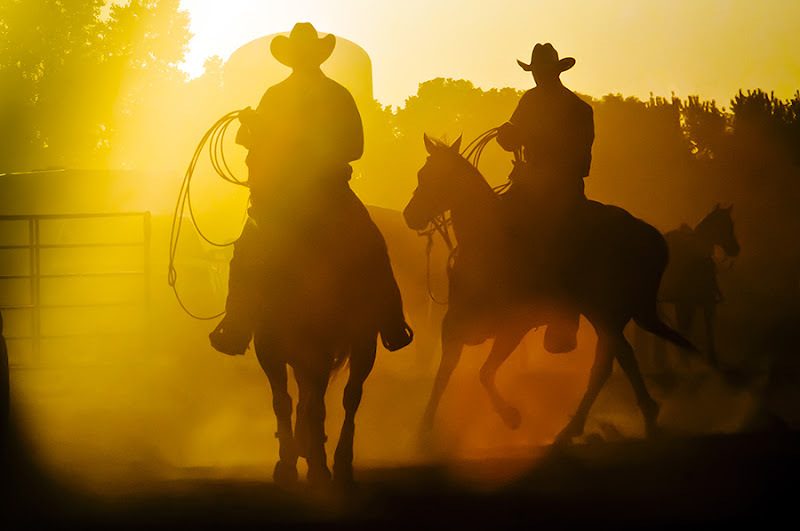 - Backlit dust can make dramatic photos. 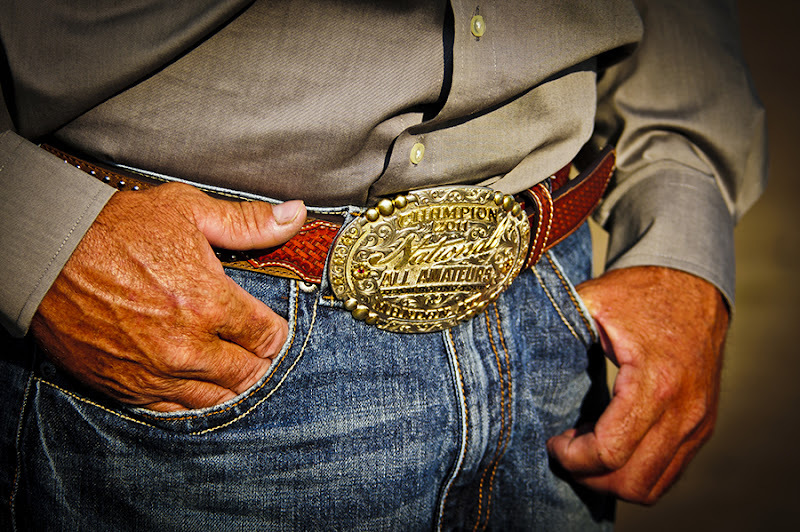 - Watch for details like belt buckles, saddles, ropes, etc. 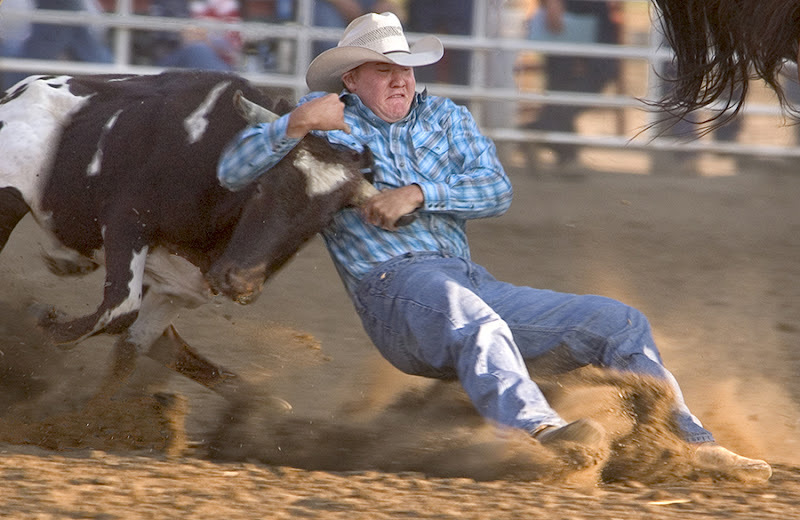 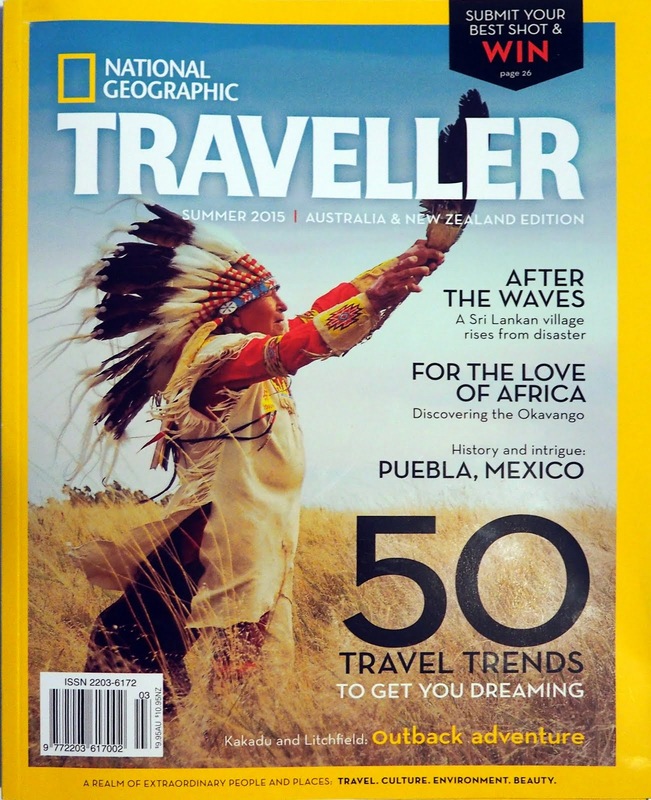 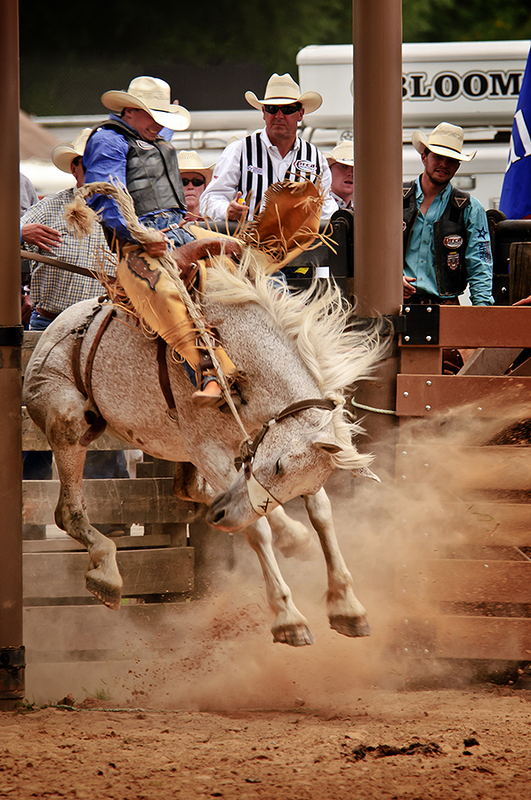 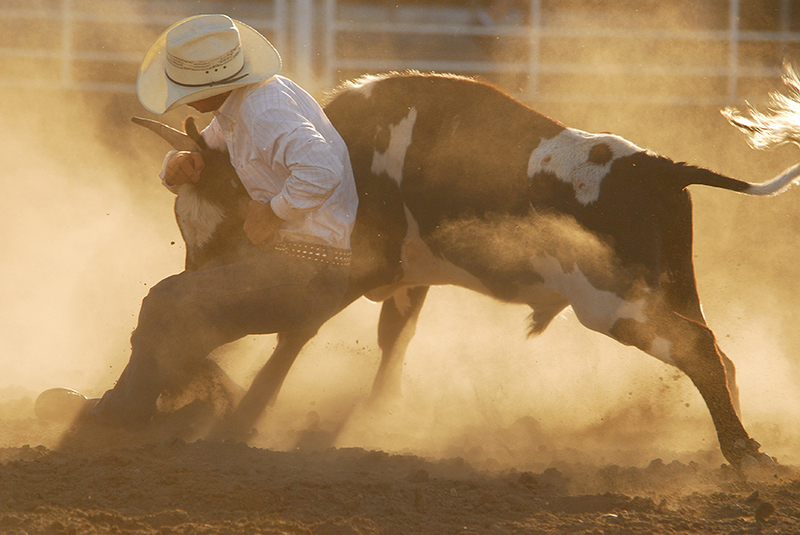 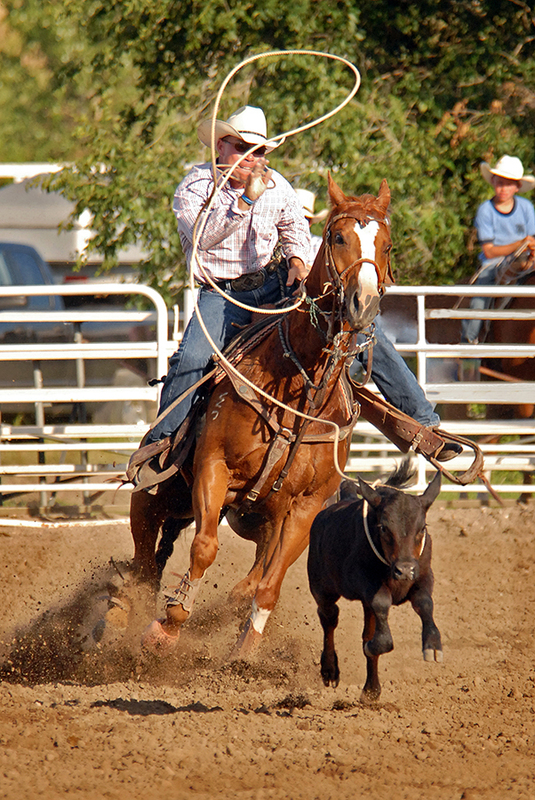 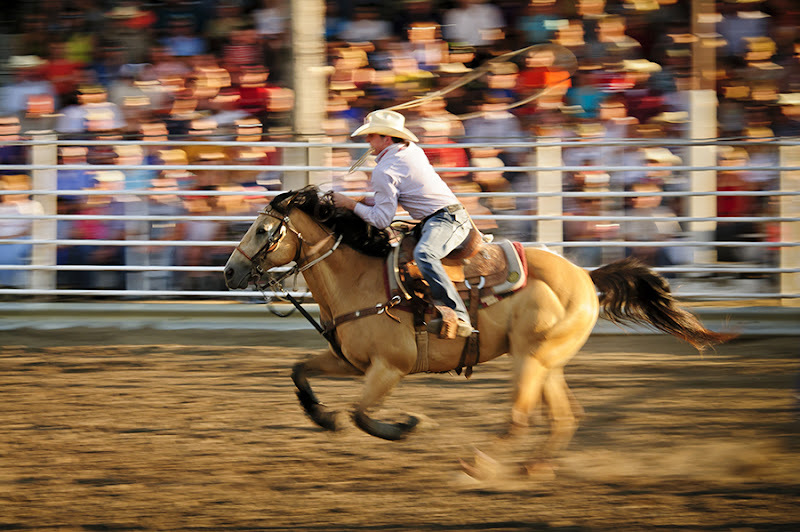 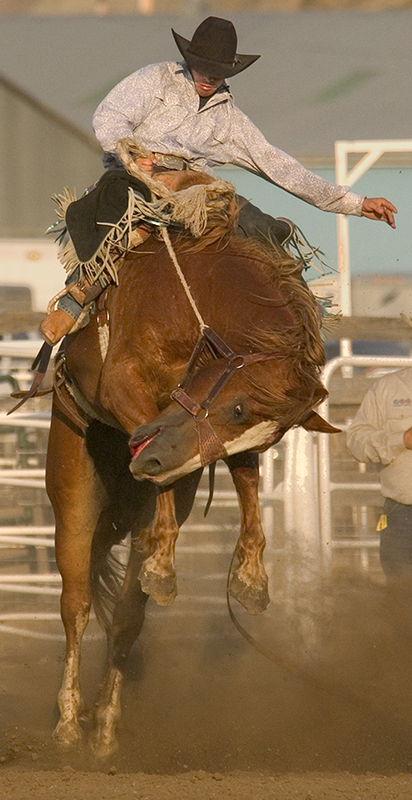 Many of the rodeos scheduled for this year in South Dakota are listed at the www.travelsd.com website. 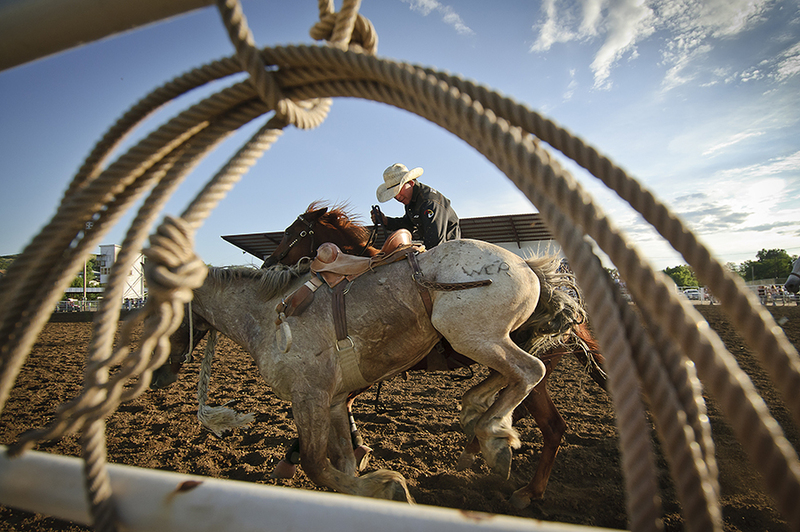 Regarding last photo, #14 (Two ropers on horse back in dust, with sun in background).